All-in-one compact with blush, bronzer, and highlighter. This all-in-one compact with blush, bronzer and highlighter creates a beautiful, glowing complexion in one simple stroke. Specialized colors and textures create a 3 dimensional look. Can be used separately to contour cheeks and strobe to enhance your best features. Shades can be used alone or blended together. After foundation is applied. 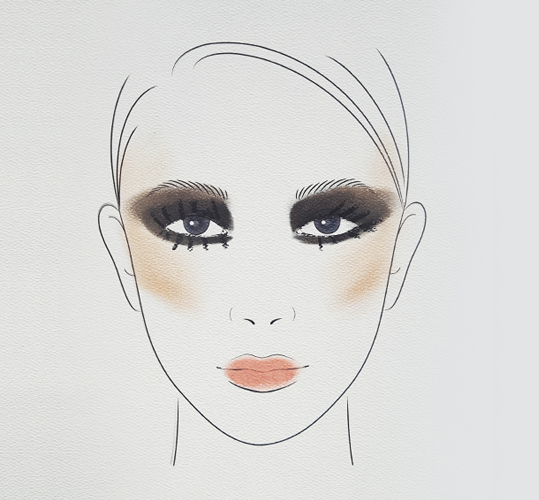 For smoky eyes, create depth around the eyes first. Line around the eyes with pencil (black or brown) and smudge up and away from the lash line to create a soft halo around the eyes. Blend liner with lighter cream shadow and soften the edges for a seamless and more diffused look. Curl lashes and add mascara. The eyes are the focus and brows don’t need to be as defined. Use powder OR pencil to fill in as needed. Try a soft lip color to create focus on the center of the lip and blend out with brush or finger so color is diffused for a bitten lip look. Finish the look using a more bronze palette for a sculpted, sun-kissed look. Apply to the outer corner of the eyes to soften the look. 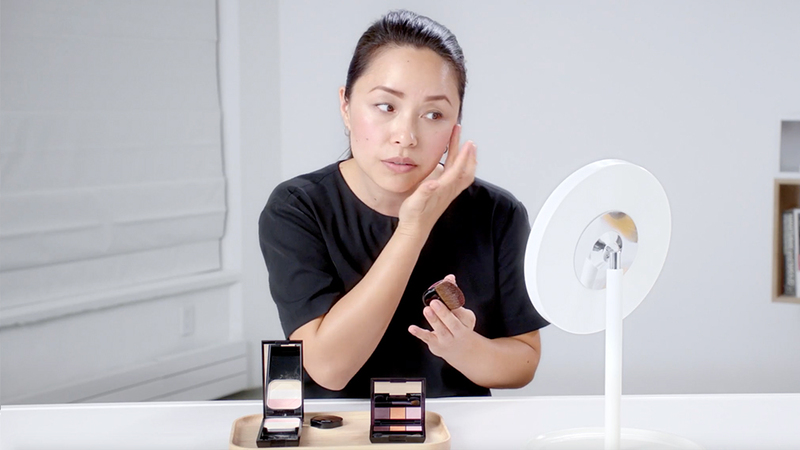 Use deeper color under the cheekbone to sculpt and contour.